This TechPinas entry aims to collate all relevant news and information about the Samsung Galaxy S10. We'll update this post every time we hear or read fresh and noteworthy reports about the Korean company's 2019 flagship-level release. Note: All data presented in this article are based on leaks by our trusted insiders who have good track record as regards disclosing details on yet-to-be-released Samsung handsets. Update as of February 21, 2019: Samsung Galaxy S10 has just been officially announced in the Philippines. Its suggested retail price in our country is PHP 49,990 and it will hit store shelves nationwide on March 8, 2019. 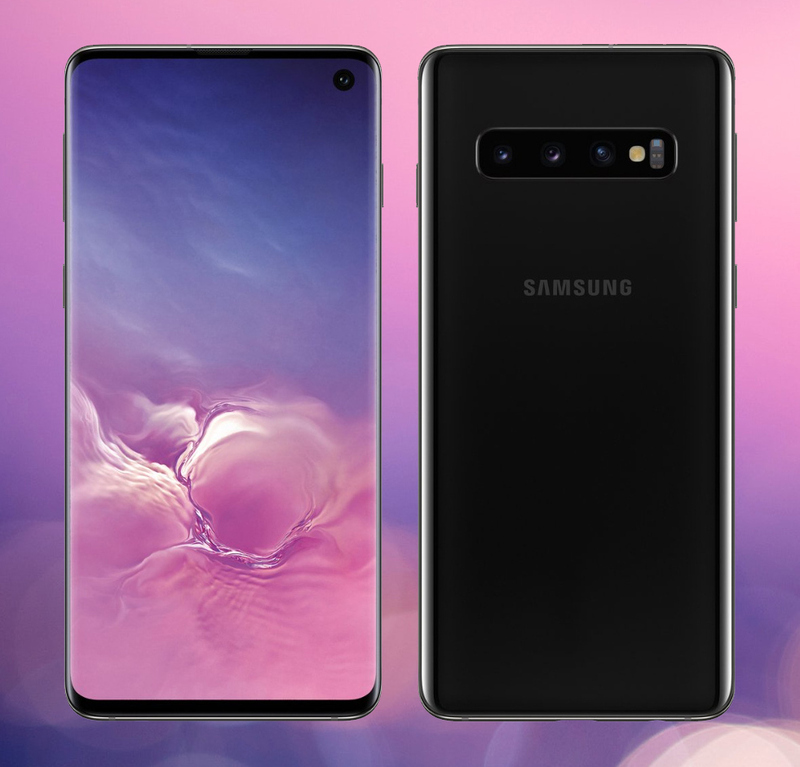 Samsung Galaxy S10 is one of the three 2019 top-of-the-line Galaxy S smartphones of 2019, which will have the best features and technical specifications on any phone that the company will launch this year. This model sits right in the middle of Samsung Galaxy S10+ and Samsung Galaxy S10E in terms of size, weight, internal hardware, and imaging prowess. When it comes to build and footprint, Samsung Galaxy S10 is comparable to that the older Samsung Galaxy S9 and even S8. It dons a glass-metal-glass sandwich identity with curved sides and corners. The button placement is also the same with the volume rocker and Bixby key on the left panel and the power button on the right. Finally, the construction is likewise protected against water and dust ingress. 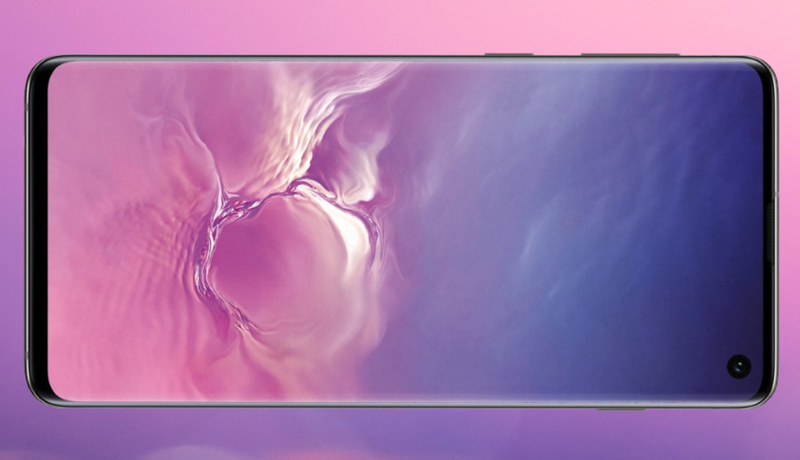 One of the most unique features of the Samsung Galaxy S10 is its large 6.1-inch QuadHD+ Infinity O Display, which - as its name suggests - has a punch hole in the upper right section containing the front-facing camera. This punch hole allowed Samsung to increase the size of the screen without making the phone bigger and to also not use a notch, which many users have come to dislike on today's smartphones. The S10 along with the S10+ are the first Galaxy smartphones to feature an In-Display Fingerprint Scanner as an added layer of security and privacy for the user. The Korean Giant even made this sensor more secure by integrating Ultrasonic 3D mapping technology further lessen the risk of unauthorized access. The 10 MegaPixel f/1.9 selfie snapper within the S10's punch hole is also capable of recording 4K 30fps videos, which is a real treat for aspiring vloggers who want to document their daily activities using their cameraphones instead of a big camera or an action cam that doesn't let them see their face while shooting. Actually, the Samsung Galaxy S10, S10+, and S10E are the first smartphones to have a front-facing 4K video recorder. Like the larger Galaxy S10+, the S10 has three cameras at the back - placed in a row - giving it maximum flexibility when shooting wide-angle, low light, portrait, and telephoto (or zoomed) shots. Frankly, the capabilities of this set-up can be compared to the triple rear cam module of Huawei Mate 20 Pro, which many consider the best cameraphone of 2018. Under the hood, the Samsung Galaxy S10 runs its One UI skinned Android 9.0 Pie operating system with a powerful and energy efficient 8nm Exynos 9820 Octa proceessor with Mali-G76 MP12 that delivers top-notch gaming experience. The chipset is complemented by 6GB or 8GB RAM and 128GB or 512GB of expandable storage. Together, these innards ensure ultra-smooth day-to-day mobile experience even for the most demanding power user or heaviest mobile gamer. Samsung Galaxy S10 gets its juice from its sizable 3,400 mAh Li-Ion battery pack that be quickly charged both through the handset's USB Type C port and via supported wireless charging pad with 15W output. With this feature, user won't have to plug his or her S10 to an electrical outlet that long, which can result in greater mobile productivity or longer time connecting with loved ones. The local Unpacked Event for the announcement of Samsung Galaxy S10, S10+, and S10E is slated on February 21, 2019 at 3AM Manila Time. As of writing, the Korean Giant has yet to disclose the official prices of all variants of the above-mentioned models. However, based on leaked European pricing for the its S10 variants, my starting price guesstimate for the Samsung Galaxy S10 is around PHP 53,990 -- which is much higher than the SRP of Samsung Galaxy S9 in the Philippines upon launch. I am personally expecting all 2019 Galaxy S models to hit store shelves around mid-March this year.